From the moment you arrive you will see that we are no ordinary practice. We take great pride in everything we do, our philosophy is always to listen to our patients and to provide them with a comprehensive care plan to achieve long term dental health. As a patient of Witney Dental Practice, you will be given choices and be involved in every step of your treatment. 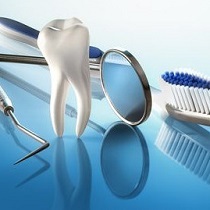 General dentistry covers a wide range of procedures. This includes the initial consultation and diagnostics such as x-rays. Your dentist will use a variety of methods such as tests, x-rays and the like to determine what is wrong with your teeth before treatment. Dentistry is no longer just a case of filling and extracting teeth, as it was for many years. Nowadays many people turn to cosmetic dentistry, or ‘aesthetic dentistry', as a way of improving their appearance, much as they would use cosmetic surgery or even a new hairstyle. The treatments can be used to straighten, lighten, reshape and repair teeth. 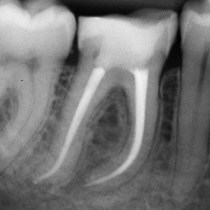 Endodontic treatment is required when the inside of a tooth becomes infected or inflamed due to decay or trauma. The procedure involves the endodontist removing the source of infection under a binocular microscope, cleaning and shaping the space inside the root and then filling it to avoid future infection. Local anaesthesia is provided to ensure patient comfort, and the entire procedure should take one or two visits. Today more and more people are realising the importance of their appearance. As we know first impressions last and an attractive smile builds self-confidence. 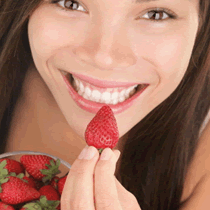 With dental implant treatments you can achieve secure,natural looking teeth and the confidence that comes with it. 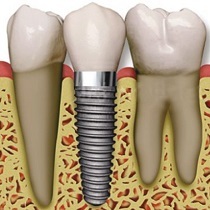 A dental implant is an artificial tooth root used to support restorations that resemble a tooth or group of teeth. I have been a patient here for many years and I have always enjoyed seeing the best flowers in the waiting room. I also appreciate the daily newspapers. In all my visits I have always been treated with courtesy and efficiently. Please continue with the good work. Many thanks A.K. If you can enjoy going to the dentist, I can say the experience is always a positive one. 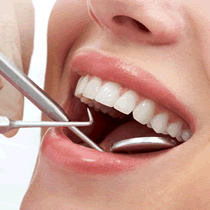 The dentist and assistant are brilliant at making you feel confident and producing an excellent result. Lesley, the hygienist is the best I’ve ever had. A wonderful personality and an excellent hygienist. I’ll be back in 6 months to see her again. We are very happy to welcome Laxmi Subba amongst our hygienist team. We are very happy to welcome our new practice manager.